Though Valentine’s Day is quickly approaching, it’s not too late to knit something for the big day! Steal someone’s heart with these innovative and unique love-themed patterns from our independent designers! The adorable socks are knitted from the top down using the stranded knitting technique to create an irresistible heart design, perfect for Valentine’s Day! Using West Yorkshire Spinners Signature 4 ply yarn, we love shades Pennyroyal (530) and Sarsaparilla (545) for an extra lovely pair of showstopping socks! This cute cushion would be a great first project for intarsia beginners, and just in time for the day of love! The cute hearts are just perfect, knitted up with Sirdar Supersoft Aran, a fantastically snuggly worsted weight yarn, great for napping! We suggest shades Rarin’ Red (907), Fab Fuchsia (902), and Scrummy Plum (901) for a lovey look! With Fair Isle hearts and an on-trend slipped stitch edging, you can’t go wrong with this hat whether you knit it yourself or a loved one. You can use any aran, worsted weight yarn – but don’t forget your stitch markers! For this pattern, we love Austermann Merino 105, in shades Azalee (358), Weiss (301) and Pink Lipstick (341)! Containing both a written and a charted lace pattern, this triangular love heart shawl is absolutely stunning! You can use any weight of yarn to achieve this scarf, with a simple modification of changing the number of repeats to suit your yarn. 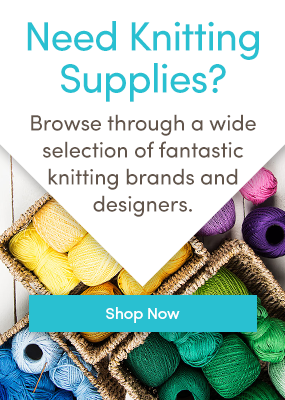 We really love this Special Merino Lace, an exclusive and limited-time offer from LoveKnitting. Grab some before it’s gone – we really love 13 (fuchsia), 02 (mauve), and 18 (reddish rust) for this pattern! If Fair Isle isn’t your thing, surely you love cables instead! This subtle and versatile cable pattern creates intertwining hearts which can be worn all through the cold weather season. We recommend using James C Brett Legacy DK, a 100% snuggly and 100% wool yarn. We love shades 08 (red) and 11 (maroon)! We love these patterns from our independent designers – which one is your choice for Valentine’s this year? Last updated: March 10th, 2015. My favourite definitely has to be the shawl, preferably in the fushia colour. It is absolutely gorgeous! Many thanks for including my Heart of Hearts Cushion. We LOVE your cushion, it’s such an adorable design! The hat is my style and those sock hearts are for me . Love the cushion with hearts on it. The cushion is definitely calling my name! “Evanescent” would be my first choice–because I could get it finished. The “Dreamy Valentine” shawl is too drool for, and the pillow, and the socks and the hat. See ya next year……….